Bachelor’s Degree in early childhood education, special education or related field. Knowledge and experience working with young children with disabilities, and their families, in natural environments. Knowledge of Microsoft Word, Excel and Internet needed. Early intervention teachers will be required to provide special instruction and family training to children with disabilities or delays and their families, in their natural environment. Maintain accurate and up to date documentation of each child’s progress. Participate in public awareness activities in the community: fairs, screening clinics, training; and others as needed. First Steps serves families from different cultural backgrounds and languages. Teachers with oral and written skills in non-English languages ( Spanish, Burmese, Arabic) are welcome to apply for this position. Background screens will be performed and education and past employment will be verified prior to employment. 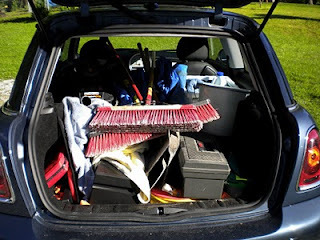 Please be prepared to provide required information and/or documentation. Volunteer State Community College has a new full-time advisor/counselor position open. It is a bilingual Spanish-English position that will include work with the College Hispanic Outreach efforts. Here is the posting. To apply candidates can visit the Vol State website or click on the link below. To serve students in an advising and counseling role, to provide information concerning academic advising and career counseling as well as other retention-related topics in order to assist students with academic success. 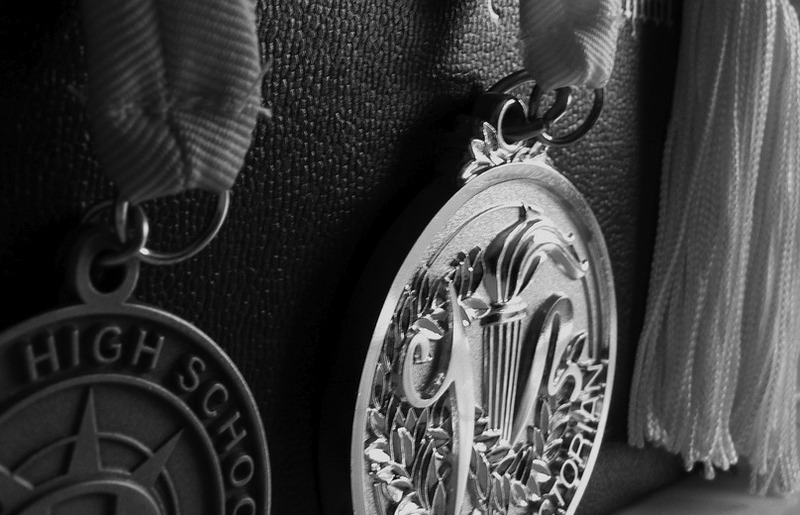 Additionally, the Advisor/Counselor provides guidance in setting career, life, and educational goals. The bilingual Advisor/Counselor works extensively with the College's Hispanic Outreach efforts. Strong written and oral communication and group presentation skills. Providing registration information through class presentations, etc. Working with the College's Hispanic Outreach Efforts. Click here to R.S.V.P.Before June 1st. The resolution now goes to the Senate, and its passage there is likely, according to KnoxNews.com. I haven't seen any media quote Raul Lopez, president of the Republican National Hispanic Assembly of Tennessee ("RNHA-TN") and executive committee member of the Davidson County Republican Party, on this issue. Lopez sees one of his roles to be engaging conservative voices so that they don't create Hispanic backlash, but that does not necessarily mean that he has any concerns about the Arizona law or the Tennessee resolution. And my understanding is that even though Lt. Gov. and Senate Speaker Rom Ramsey, and also Deputy Speaker Ketron and others, have been attending RNHA-TN events and Hispanic Chamber of Commerce events, their votes in the Senate will be in favor of the Arizona resolution. Memphis attorney Greg Siskind has pointed out that at the national level, Democrats are considering using immigration as a wedge issue against Republicans. The immigration issue is already causing conservatives with Latino heritage to leave the party, describing the Arizona bill as "a direct slap in the face to Hispanic-Americans," according to the Wall Street Journal. Other prominent national conservatives have also expressed serious doubts about the Arizona law. Even the loss of the late Richard Nadler's voice for a GOP reboot on immigration has been supplanted by conservative evangelicals' call for balanced reform, led in part by Nashville's Richard Land of the Southern Baptist Convention. The finals & coronation of Miss Latina US 2010 will take place in Punta Cana, Dominican Republic this Saturday, May 29 at 8:30 p.m. Central Time. Miss Tennessee Latina Lilibeth Leon, a 2010 graduate of the University of Tennessee at Chattanooga, will be representing the Volunteer State. Leon, who grew up in Jackson, Tennessee, was crowed Miss Tennessee Latina on November 22, 2008. The lag time between then and her appearance in this national pageant is due to the cancellation of the 2009 national pageant due to the recession and the H1N1 epidemic. In the interim, statewide pageant coordinator Marjorie Weller stepped down, leaving the spot vacant in Tennessee. I was pretty discouraged, and I wasn't sure what my next step was. However, after a talk with the national coordinator and help from my parents I concluded that I would be able to go represent the state in the national pageant after all. Regardless of the few setbacks I've had, I'm super excited to go and give it my best. Tennessee will also be represented at the pageant by special guests Saints of Havana, a Cuban-American modern pop country band based in Nashville. The pageant will be webcast via www.xtremovision.com on Saturday, May 29 at 8:30 p.m. Central Time. The winner advances to the worldwide competition for Miss Latin America. "My daughter is a proud Latina-Nashvillian with a southern accent and all"
Last Tuesday, officials from Google visited Overbrook School to announce that third-grader Isabella Nunez is one of the top 40 regional finalists for the Doodle4Google design contest. Nunez is the daughter of Jose "Pepe" Nunez, board member of Conexion Americas, whoasks his fellow Nashvillians to vote for Isabella by clicking on Region 7 of the K-3 category and then clicking on "Vote for this Doodle." The ultimate prize in the school art contest is to have your artwork chosen as the Google logo for one day and to be placed on the Google.com homepage on May 27, 2010. A win for Isabella could also mean a $15,000 college scholarship for Isabella and a $25,000 technology grant for the local Catholic school. As a regional winner, she is already guaranteed a trip to New York with her mother to attend the final awards ceremony at the Google New York office. She will also have her artwork exhibited in the Smithsonian, Cooper-Hewitt, National Design Museum, from May 27 to July 5, 2010. I am very proud to share with you that Isabella Nunez (my daughter) is one of the 40 finalists (out of 33,000 contestants!) for the Doodle 4 Google national contest! But I also want to ask for your support and vote. Voting is so easy, just click on this link and vote for Region 7. Now, your support is most important...I would really appreciate if you could please forward this message to all your friends that you find appropriate to do so. 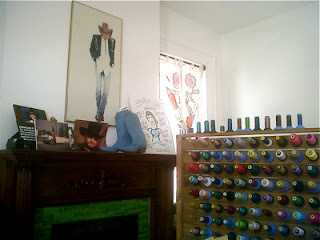 I particularly like the comment made by the StyleBluePrint blog to close this message "It seems we have a doodle rock star or perhaps our own up and coming Frida Kahlo, living in Nashville" ...Believe me, my daughter is a proud Latina-Nashvillian with a southern accent and all! Read more about Isabella Nunez's entry at WSMV, the Tennessean, StyleBluePrint, and Overbrook. 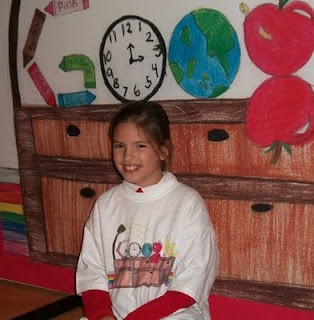 And vote here at Google.com (Isabella's entry is in K-3, Region 7). On May 22, from 6 pm to 10 pm we are having a "OUT WITH THE OLD/IN WITH THE NEW" fiesta at our store - with music, a sale, models, door prizes, and cocktails... We'll have a few select pieces strutting around the store. In accord WITH this event, all existing showroom items are 50% off (excludes new items and custom orders). Yeah, you heard me. Come on and get it... 15% of the evening's proceeds will go to the Community Foundation Flood Relief. 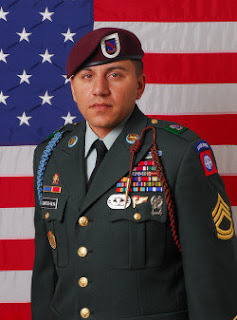 Find more stories about Manuel in the HispanicNashville.com archives - just click on the Manuel label below. 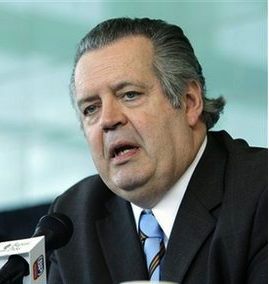 Nashville's own Richard Land, president of the Southern Baptist Convention’s Ethics and Religious Liberty Commission and a conservative Christian talk show host, has joined other prominent national conservatives in calling for a balanced reform of the U.S. immigration bureaucracy. Their loose coalition is called Conservatives for Comprehensive Immigration Reform, which kicked off a media blitz with a conference call on April 29. Other members of the Coalition include former Florida Gov. Jeb Bush; Carlos Gutierrez, secretary of Commerce under President George W. Bush; Rev. Leith Anderson, President of the National Association of Evangelicals; Rev. Marcos Witt of the Lakewood Church in Houston; and Rev. Samuel Rodriguez, president of the National Hispanic Christian Leadership Conference. We’re encouraging Southern Baptists to reach out to senators and congressmen to encourage Democrats and Republicans to quit playing politics and deal with immigration reform in a fair way. 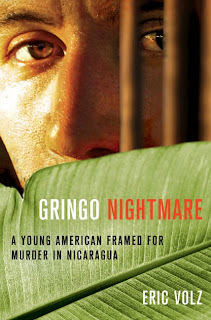 That having been said, Land roundly denounces what he deems to be an accurate definition of amnesty: forgiveness without penalty. Land says - at minute 22:20 of this broadcast - that he wants there to be penalty or punishment on the path to legal status, and it is just a matter of deciding on the penalty or punishment. He also says in the same broadcast that he wants punishment of employers. Hispanics are hard-wired to be like us on sanctity of life, marriage and issues of faith...I'm concerned about being perceived as being unwelcoming to them. 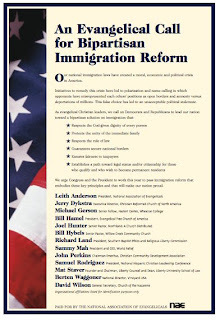 As part of the Conservatives for Comprehensive Immigration Reform effort, Land has participated in the conference call, posted a full-length essay on finding balance in the law, and signed the National Association of Evangelicals' full-page ad in Roll Call urging Congress to pass bipartisan immigration reform. 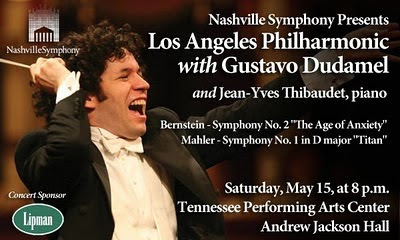 Venezuelan conductor Gustavo Dudamel will be conducting a performance of the Los Angeles Philharmonic tomorrow night at TPAC instead of at the flooded Schermerhorn Symphony Center, which the Tennessean reports suffered more damage than previous estimates let on. Led by their exciting young Music Director Gustavo Dudamel, one of the world's leading orchestras performs for one night only at TPAC's Jackson Hall. Experience firsthand Dudamel's infectious energy and exceptional artistry as the Los Angeles Philharmonic performs two major works: Leonard Bernstein's Symphony No. 2 "The Age of Anxiety" and Mahler's riveting Symphony No. 1 in D major, "Titan." As a special highlight, pianist Jean-Yves Thibaudet will return to Nashville as a soloist with the Philharmonic. Click here for a video preview of Mahler's Symphony No. 1 with Gustavo Dudamel and the Los Angeles Philharmonic. Tickets start at just $24.75. 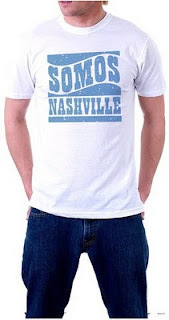 They may be purchased online at TPAC's website, by calling 615.782.4040 or by visiting the TPAC Box Office. Box office hours and directions can be found by clicking here. Symphony subscribers, please call 615.687.6400 to receive your subscriber discount. Today is the annual “A Cup of Coffee for Conexión Américas” breakfast, which celebrates the resilience that comes from connecting with your community, "whether it is in a new country or picking up the pieces after a natural disaster," in the words of Conexión Américas Executive Director Renata Soto. One of the projects of Conexión Américas is management of the Family Resource Center at Cole Elementary School in Antioch, which is concluding its first academic year in operation. The Center-in-a-school concept was created by United Way of Metropolitan Nashville and Metropolitan Nashville Public Schools and is designed to be a one-stop shop for health and human services needs. A total of thirteen such sites, including seven that are not school-based, serve approximately 28,000 Nashville residents every year. “Conexión Américas is committed to bringing programs and services that address the needs and aspirations of the families of Cole Elementary,” Soto said in an October press release circulated by the United Way. “We are most excited about the opportunity to help increase parent involvement through our Parents as Partners program and to develop parent leaders who are engaged in their children’s education and work in partnership with the school." 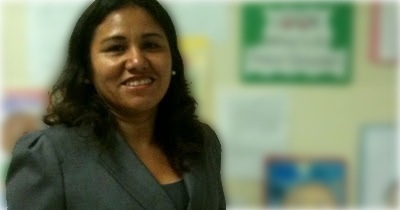 Doris Palomino of Conexión is the Family Resource Coordinator at Cole. Palomino graduated from the Catholic University of Peru with a degree in Social Psychology in 1997. She is receiving her Master's of Education in Organizational Leadership from Vanderbilt this year, with a focus on "how trust is built in educational institutions and the role technology plays in this process," which explains her leadership role on the crew of BarCamp 2009. More information about the Family Resource Center at Cole is available in this February newsletter, which describes the kinds of conversations parents are having in their English classes, Palomino's goals for the program, and announcements for taxpayer outreach in English and Spanish. More information about Family Resource Centers in general is available here. For the last 10 years Andres Gutierrez has been helping people one on one as a financial advisor. Now he has teamed up with Dave Ramsey to take the message of hope to the Hispanic community across the nation. Coming up is an exciting opportunity to take his 6-week course, Paz Financiera, in two days for FREE. This class teaches you how to take control of your money for good! Andres will film Paz Financiera in Nashville Friday and Saturday May 14 and 15 at Financial Peace Plaza. It’s going to fun and exciting with meals provided and giveaways throughout the day, including a grand prize giveaway valued at $500! If you are available Friday May 14 from 6 pm to 9 pm and Saturday May 15 from 9 am to 5 pm contact Jorge Hoyos to secure a spot at the shoot. You must be able to make a two-day commitment to participate. You can reach Jorge at 1.800.781.8897 or info@andresgutierrez.com. We hope you will be able to join us for this exciting event! Read more about Andres Gutierrez, and how he came to be the "Hispanic Dave Ramsey," here. Hey folks! Just wanted to remind everyone to come out on this beautiful day to Centennial Park between 5 and 7 to get your picture for the "Do I Look 'Illegal'?" photo shoot! It only takes a few minutes and it's fun! Bring your friends and family! We'll be at the front entrance to the Parthenon (up the steps) and we'll have signs, but not huge signs, so keep an eye out. I'll try to be obvious. If you want to bring your own signs that say "Do I Look 'Illegal'?" feel free! We have a few but if you want to make your own that would be great. See you then! 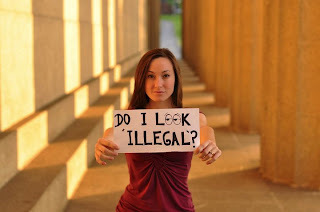 The photos from last week's "Do I Look 'Illegal'" photo shoot are here. Fabian Bedne, Conexion Americas, Marcela Gomez, and the Tennessee Hispanic Chamber of Commerce have circulated the following information and calls for volunteers, along with changes of plans for Cinco de Mayo events. Hands On Nashville needs bilingual volunteers to help in South Nash where many immigrants and refugees live. Sign up at www.hon.org. By now you have heard that at the request of the Mayor and Vice-Mayor water conservation is important in the wake of the weekend's floods. Please use water only for cooking and drinking for the next couple of days to ensure that our safe water supply is not depleted. The public water supply provided by Metro Water Services continues to be safe. If customers lose water pressure or encounter discolored water, they are asked to contact Metro Water Services at (615) 860-4600. If you would like to make a financial contribution to help fellow Nashvillians in need, this can be done through the Community Foundation of Middle Tennessee at www.cfmt.org. 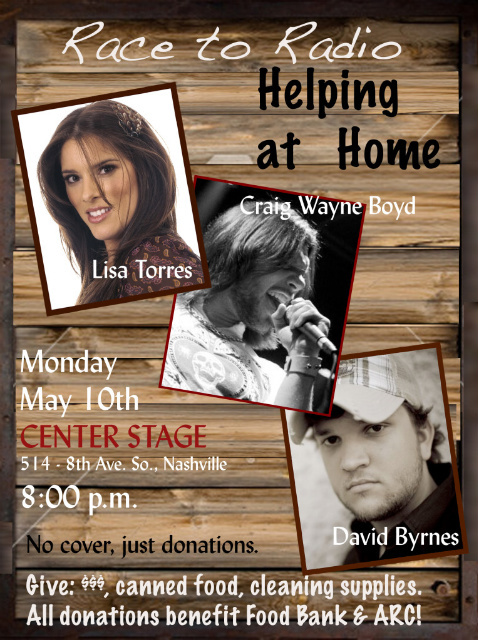 All proceeds benefit Middle Tennessee flood victims. Elections have been postponed for two weeks, we'll send updated information as it arises. 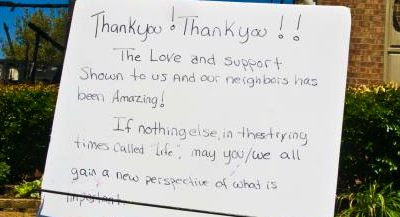 South Nashville, home to many immigrants, has been greatly affected by the flood. WE NEED BILINGUAL VOLUNTEERS to help out at upcoming disaster relief center. Location to be determined by Metro and FEMA later today, but please go ahead and sign up at Hands on Nashville's website TODAY. Please indicate what other languages you speak. We especially encourage those who speak SPANISH, ARABIC and KURDISH to sign up. Click here to sign up as a volunteer to help with the flood relief efforts. Please note on the registration form that you are bilingual. Due to the gravity of the situation in our city, the TNHCC is postponing the Cinco de Mayo lunch, scheduled for May 5th. We are concerned about our members and friends. We will send out information from the Red Cross and Hands on Nashville to let our members and friends know how to help people in need. We will re-schedule our Networking Lunch and inform everyone as soon as possible.